KAFUE: On 16th November, 2014, an Induction Service was held at Resurrection Congregation in Kafue, for Deaconess Chileshe Kafwimbi, as Self Help Groups Project Coordinator for Kafue and Shimabala. 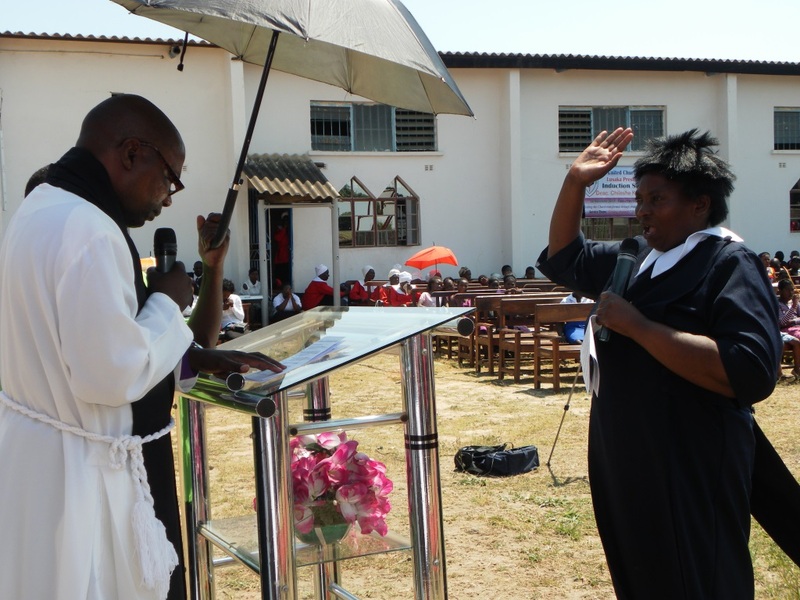 Officiating at the service, and representing Synod was the Synod Bishop, Reverend Mutale Mulumbwa. Deaconess Kafwimbi during the Induction Service, Resurrection Congregation, Kafue Consistory. Deaconess Kafwimbi in her statement of call to the office Self Help Project Coordinator, thanked Synod officials and all in attendance for the support shown to her. She also paid a special tribute to Reverend Nsofwa, for the role she played and for helping mould her into who she is today as a servant of God. During his sermon, Bishop Mulumbwa stressed the need for love among God’s children. He reminded the inductee to be wary of people that may say bad things to her, and when faced with such she should always remember God does not count on such behavior. “Let us serve our church and ensure that God’s will is the first priority”, said the Bishop. He further urged the inductee to always be a blessing to God and to all those that she will work with. Deaconess Kafwimbi did her primary and secondary education in Kitwe, from 1966 to 1978. 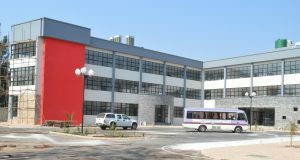 Upon completion of her education, she was drafted into Zambia National Service. She later enrolled for a nursing course in Mufulira, where she graduated as a Zambia Registered Nurse and got posted to ZCCM Nchanga Hospital. She further did a course as a Zambia Registered Midwife, from 1984 to 1985. 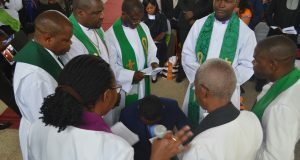 Deaconess Kafwimbi being inducted by the Synod Bishop, Rev. 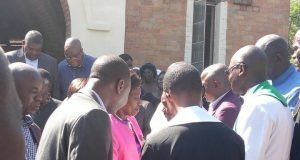 Mutale Mulumbwa, Resurrection Congregation, Kafue Consistory. Her entry into church work began in 1996 when she attended a Children’s Ministry Training at Child Evangelism Training Institute in South Africa, under the Healthcare Christian Fellowship International. She has done several other courses in Pre-school training, Supervisory effectiveness and Psycho-social Counselling. In 2004, she enrolled for Diaconal Ministry Training at the UCZ Theological College in Kitwe, and upon graduation in 2006 she posted to Kafue Rural Health Centre, as Project Coordinator. 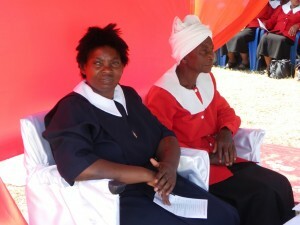 Between 2007 and 2013, she has served at various congregations and in various positions – Mwandi Mission Hospital, Interdenominational Women Chrstian Fellowship, Mbereshi Mission Hospital, Kasumpa Congregation, Kazembe Congregation, Mulalami Congregation and as Self Help Group Concept Coordinator in Mbereshi Consistory.